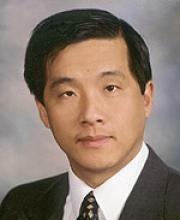 Gary G. Yen received his PhD degree in electrical and computer engineering from the University of Notre Dame in 1992. He worked at the Structural Control Division of the USAF Research Laboratory in Albuqurque during 1992-1996. He is currently a Professor in the School of Electrical and Computer Engineering, Oklahoma State University in Stillwater. His research is supported by the DoD, DoE, EPA, NASA, NSF, and Process Industry. His research interest includes intelligent control, computational intelligence, conditional health monitoring, signal processing and their industrial/defense applications. Dr. Yen was an associate editor of the IEEE Control Systems Magazine, IEEE Transactions on Control Systems Technology, Automatica, Mechantronics, IEEE Transactions on Systems, Man and Cybernetics, Part A and Part B, IEEE Transactions on Neural Networks, and among others. He is currently serving as an associate editor for the IEEE Transactions on Evolutionary Computation and International Journal of Swarm Intelligence Research. He served as the General Chair for the 2003 IEEE International Symposium on Intelligent Control held in Houston and 2006 IEEE World Congress on Computational Intelligence held in Vancouver. Dr. Yen served as Vice President for the Technical Activities in 2005-2006 and President in 2010-2011 of the IEEE Computational Intelligence Society. He is the founding Editor-in-Chief of the IEEE Computational Intelligence Magazine. He received KC Wong Fellowship from the Chinese Acadamy of Sciences, Halliburton Outstanding Faculty award, and OSU Regents Distinguished Research award. He also received an Honorary Professorship from Northeastern University, Sichuan University, and Dalian University of Technology in China. In 2011, he received the Andrew P Sage Best Transactions Paper award from the IEEE Systems, Man and Cybernetics Society. In 2013, he received Meritorious Service award from the IEEE Computational Intelligence Society. He is a distinguished lecturer from the IEEE Computational Intelligence Society, 2012-2014, an IEEE Fellow, and IET Fellow. IC2IT 2019 Submission Page is ON.